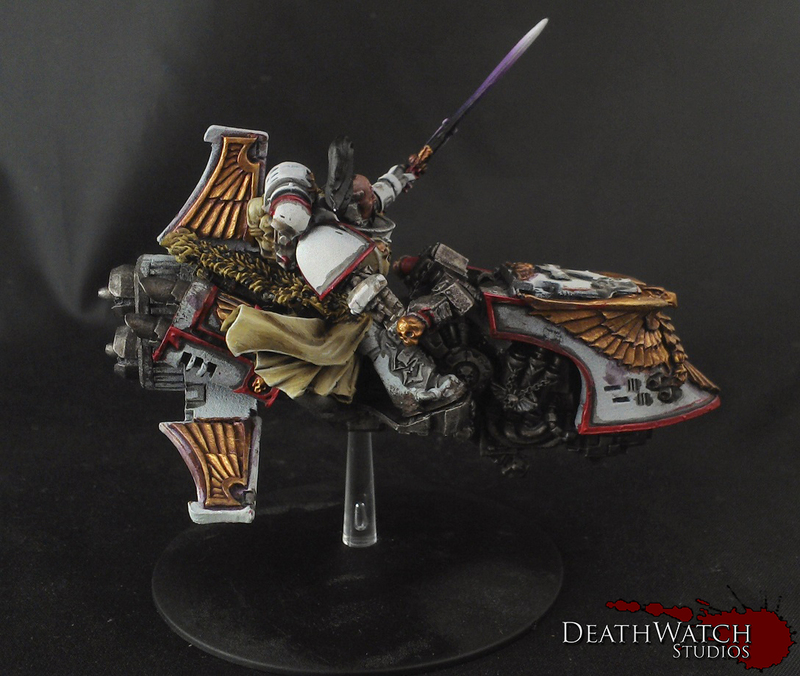 Warhammer 40k – White Scars Jetbike Progress! 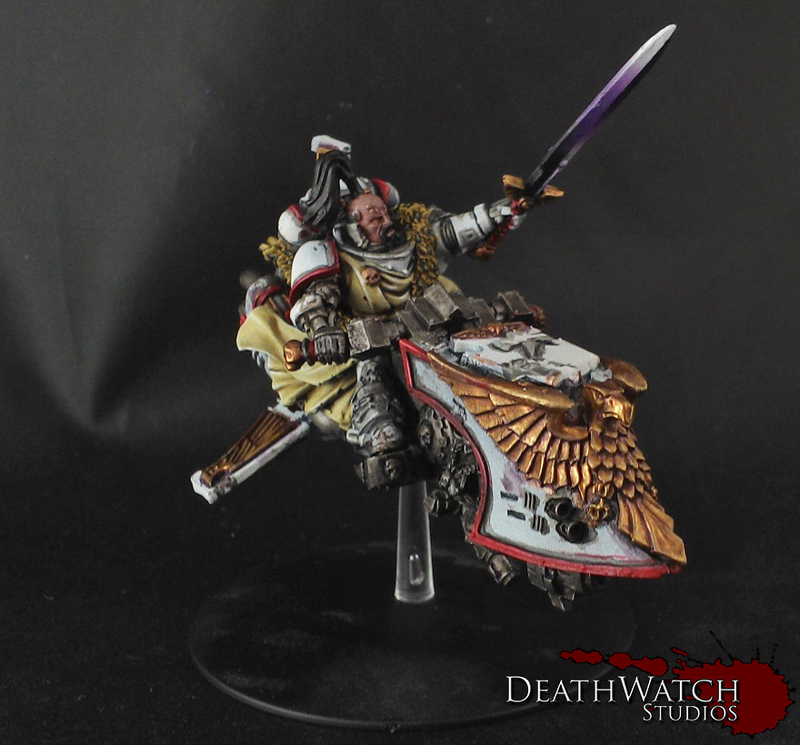 I’m particularly pleased with how the sword has turned out and chose the colours in order to match the Kor’sarro Khan I did earlier in the year for the same client. 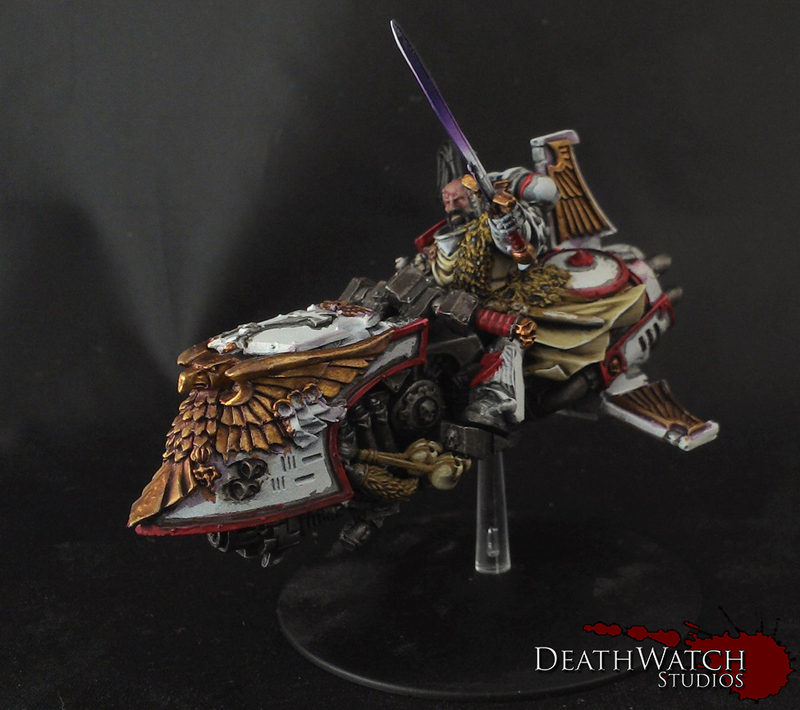 This was done by blening from blackto naggaroth purple, then to genestealer purple to white. 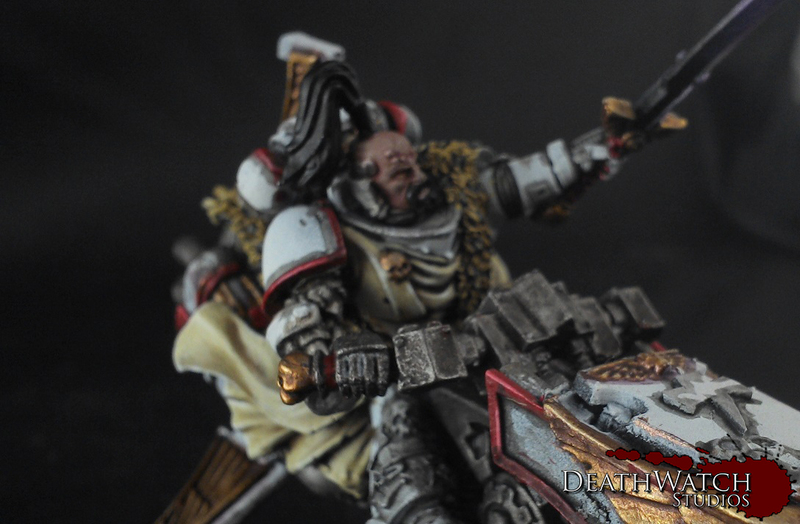 In regards to the animal skin, I decided to do this in a semi leopard pattern, as I think this suits the White Scars more than a standard grey or brown affair you’d find on say a Space Wolf. I still think this needs a little work just to pull the colour out a little bit more. 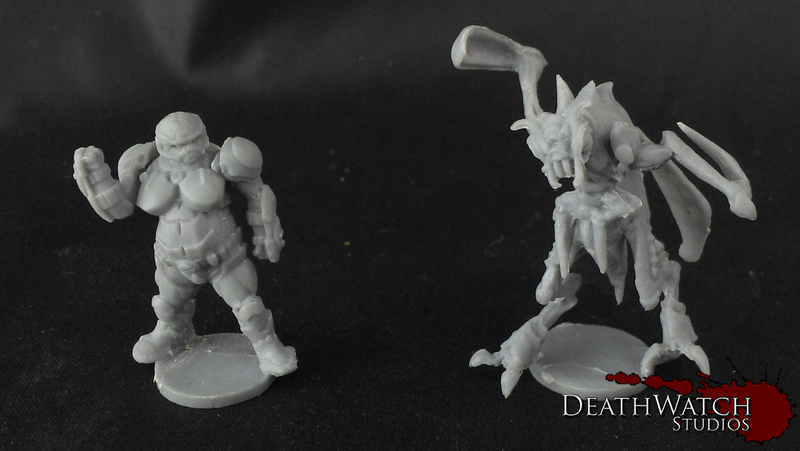 Next up is soem more work on the face. hair and beard as so far I have only laid down the base colours for these. 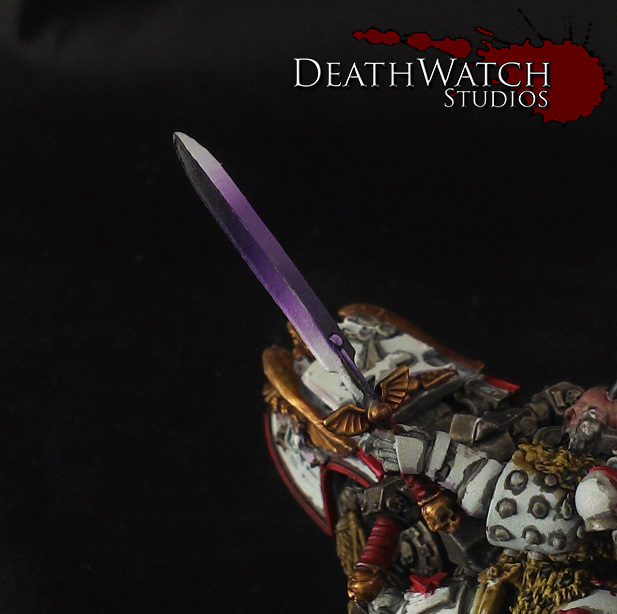 Ooooh the purple in the sword gives it a brilliant effect! And the front of the bike is looking badarse. Nice nice nice! !